Students applying to the Burnett Honors College should show clear evidence of academic talent, motivation, intellectual curiosity and creativity. The admission process involves a comprehensive review of the applicant's academic background, standardized test scores, personal statement, and activities and interests. Admission to the Burnett Honors College is very selective, and admitted freshmen typically represent the top 10% of freshmen at UCF. The Burnett Honors College has a rolling admissions process. Typically, applicants receive a decision within 3-5 weeks after they apply. Because the Burnett Honors College accepts a limited number of students each year, students should submit their Honors Application as early as possible. The applicant’s academic performance, as reflected by the weighted high school grade point average, class rank, the SAT and/or ACT scores, advanced course work (AP, IB, Dual Enrollment, AICE), is of utmost importance; however, other extraordinary intellectual and artistic accomplishments will also play a very important role in the decision process. 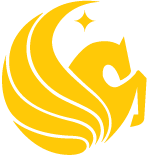 Applicants must submit a complete Honors Application including a high school transcript directly to the Burnett Honors College, and to make sure to report their most recent test scores (SAT and/or ACT) to UCF. Students are encouraged to submit any additional supporting information illustrating the talents, skills and interests of the applicant; this information may be a significant factor in the admission decision. All materials must be received by the application deadline in order for the applicant to receive full consideration. National Merit Finalists: Students who were designated National Merit Finalists by the College Board will be accepted to The Burnett Honors College, provided that they submit a complete application. National Hispanic Scholars: Students who are designated by the National Merit Corporation as a National Achievement Scholar or the College Board as a National Hispanic Scholar must include a copy of the award letter with the Burnett Honors College application. Special consideration will be given to these students. Provost Scholars: Students who are awarded UCF's Provost Scholarship will also be given special consideration.